Because we liked Nebraska so much we went right back, this time to Omaha. 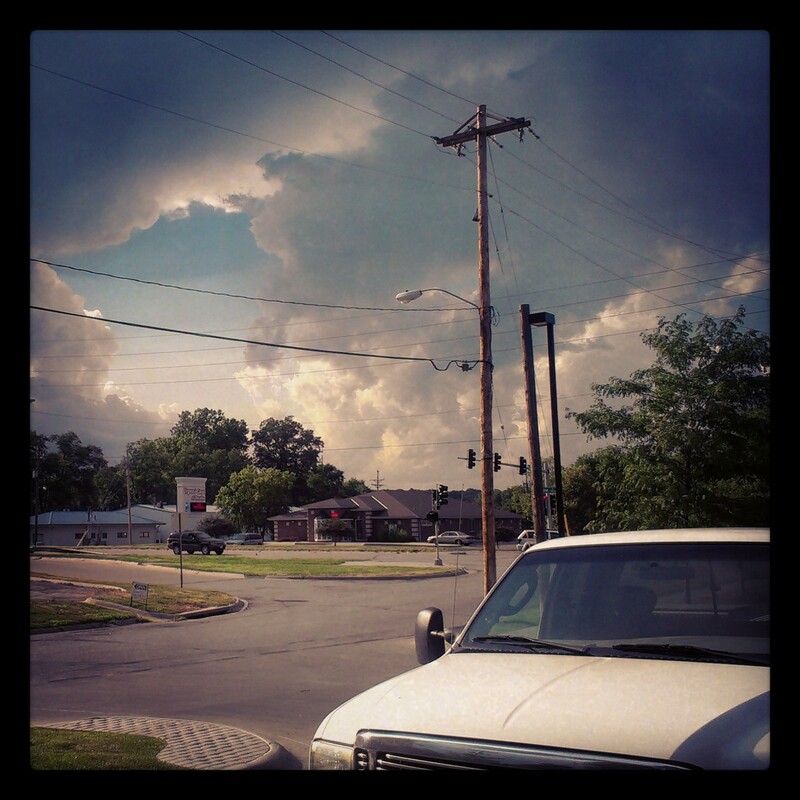 We rolled into the city together with the impressive clouds of a thunderstorm. 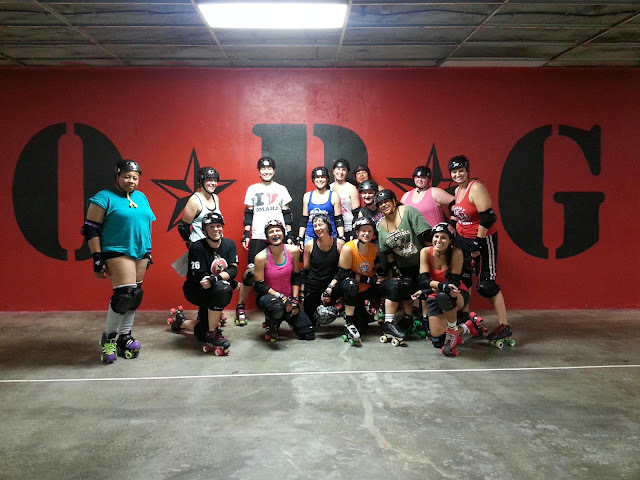 Thanks to the good directions the Omaha Roller Girls had given us, we were able to easily find their top-secret, underground training location. It's an old roller skating rink which closed 10 years ago and is used now by the whole leage: women's, men's and junior derby. Coach Daisy Mayhem had just returned from a boot camp in Minnesota and brought back some cool drills. We started working on effective speed skating; combined with a lot of small plow stops, this gave us a good workout for our thighs. Thanks to the awesome skater trading cards we got from them, we will always be able to remember this great team!